The loss of catalyst through reactor or regenerator cyclones is a fairly common problem. Identifying the reason for the loss is often difficult. 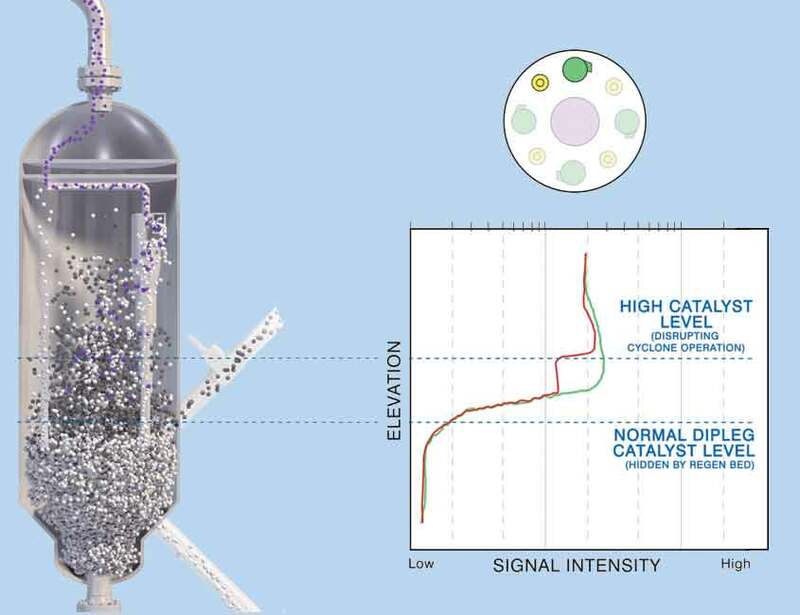 In this latest blog, Tracerco, part of Johnson Matthey Plc, discusses how a Tru-Scan™ can be a powerful tool for gathering much needed information regarding the loss of catalyst. Flowrate and leak testing applications, pipe scanning and meter proving services are fast, accurate and cost-effective methods to determine the flow of vapour, carryover of liquid, build-up of sludge and fouling materials in piping, as well as the calibration of flow meters. Scanning technology can provide a valuable insight when critical process equipment is experiencing problems and producing off-spec product. Based on the results provided, the best course of action to correct the problem can be identified in the least amount of time in order to save valuable process system downtime. 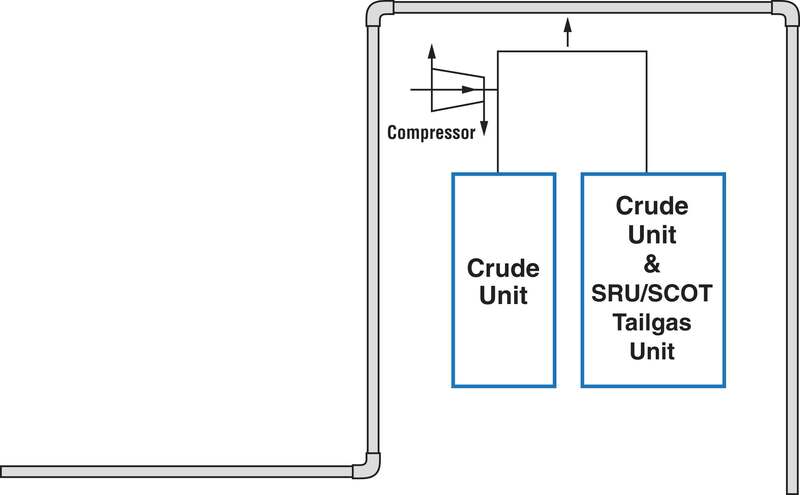 Every refinery invests a tremendous amount of time and money in planning a unit turnaround. Scheduling of the tasks, manpower and equipment has to be detailed and thorough. In order to plan, information is needed about the process system so that critical tasks can be planned to meet turnaround time constraints. 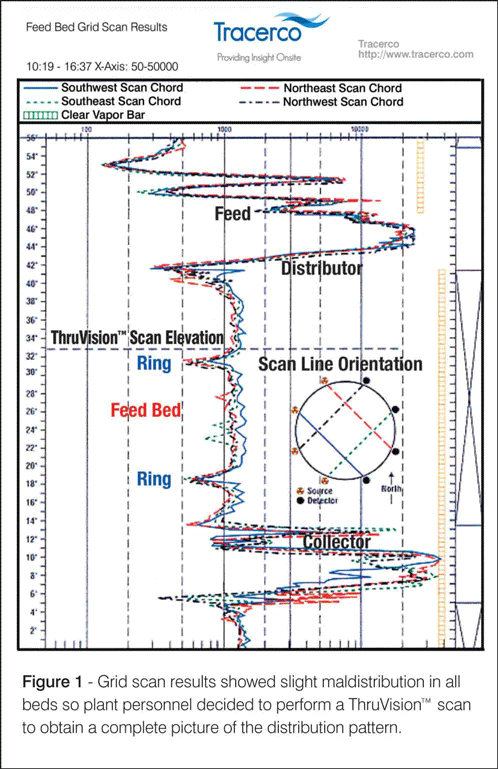 Some of this condition-based information is gathered using tools such as gamma scans, radiography, ultrasonic probes, vibration monitors, acoustic sensors, and other non-destructive techniques whilst the process is still operating. It is vital to be aware of any internal damage to distillation columns, heat exchangers, reactors, and other vessels to avoid surprises that can disrupt the turnaround schedule. Each day of downtime is a day of lost production, so it is critical that a turnaround is not extended due to unexpected repair work. In FCC Units (Fluidised Catalyst Cracking Units), the atmospheric residue from the distillation is cracked to LPG, naptha and other components. This sometimes leads to “invisible” deposits inside the riser. Tru-Scan™ and Tru-Grid™ scans are powerful tools that give you valuable insights into packed and trayed towers, tanks, pipes and more. Using this field-proven predictive maintenance technique on distillation columns allows plant personnel to monitor tray or packing hydraulics. A sophisticated monitoring programme can track the effects of fouling or other incapacitating conditions to extend run times and identify maintenance requirements in advance of scheduled turnarounds. 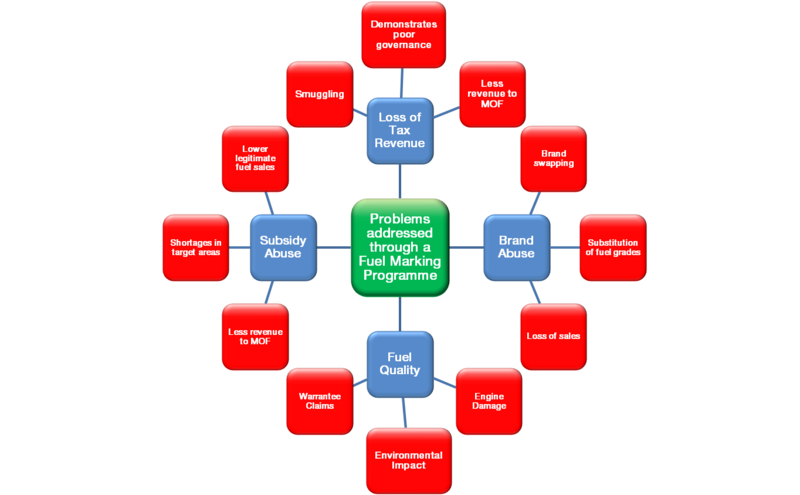 Fuel laundering, fuel adulteration and fuel smuggling combine to create a global problem for governments around the world. 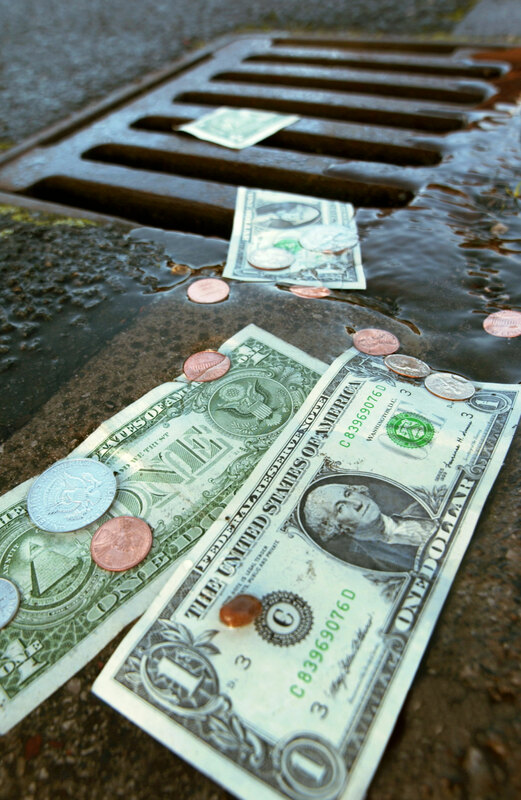 Not only does it deprive them of hundreds of millions of dollars of taxation revenues, it poses a burden to the environment and also to innocent motorists whose vehicles incur long-lasting damage. The cost in terms of policing, dismantling discovered plants, clean-up operations and the safe disposal of dumped toxic sludge — a by-product from such illegal operations — is also considerable. This post is the second part of the "Diagnosing liquid maldistribution inside packed beds" series. In the previous blog, we explained how Tracerco’s Tru-Grid™ Scan technologies can be used to diagnose suspected maldistribution in packed beds. In Part 2, we will discuss how we obtain more details on distribution within the packed bed. 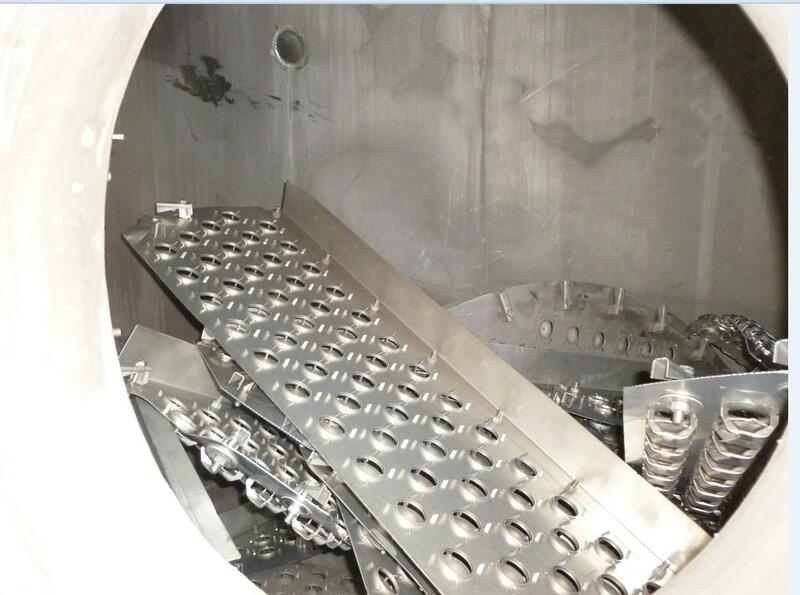 A challenge to process engineers is diagnosing liquid maldistribution problems inside packed beds that can cause severe mass transfer efficiency loss. In industrial distillation columns, common examples of the cause of liquid maldistribution are design, manufacture or installation defects of distributors as well as damage, plugging and process disturbance of packed beds. 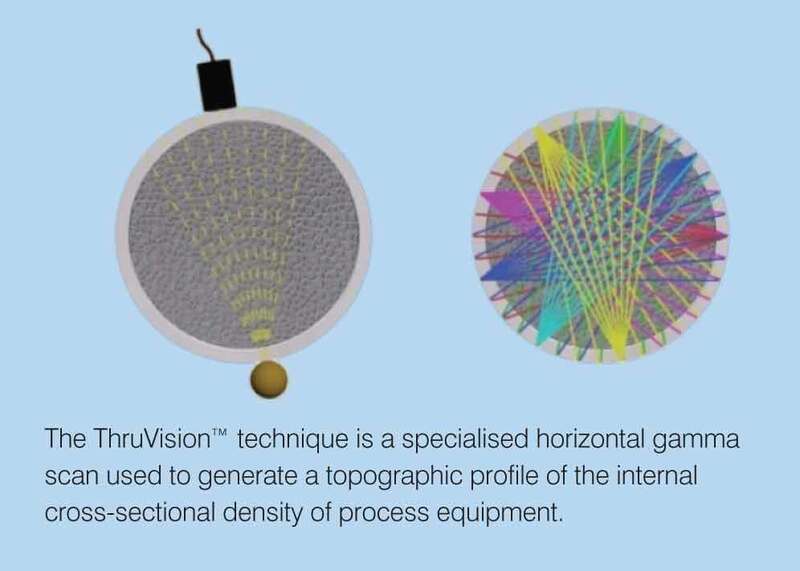 In this latest blog we will explain how following a Tru-Grid™ Scan, Tracerco’s ThruVision™ technology was able to obtain a more detailed liquid distribution profile of the packed bed. This post is the first of the "Diagnosing liquid maldistribution inside packed beds" series. 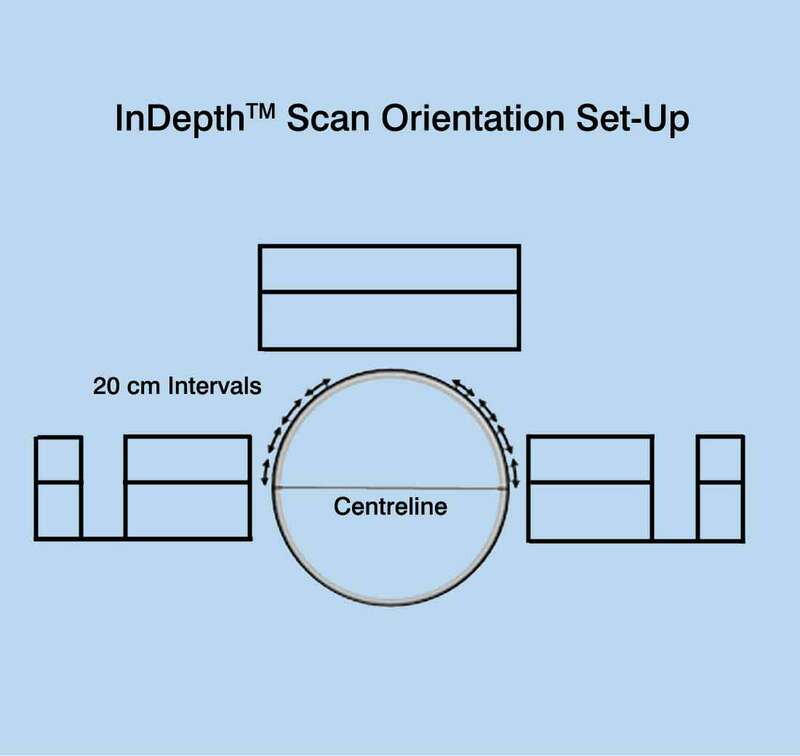 In this latest blog, we will explain using a case study approach how Tracerco's scanning technologies can be used to diagnose suspected maldistribution in packed beds. 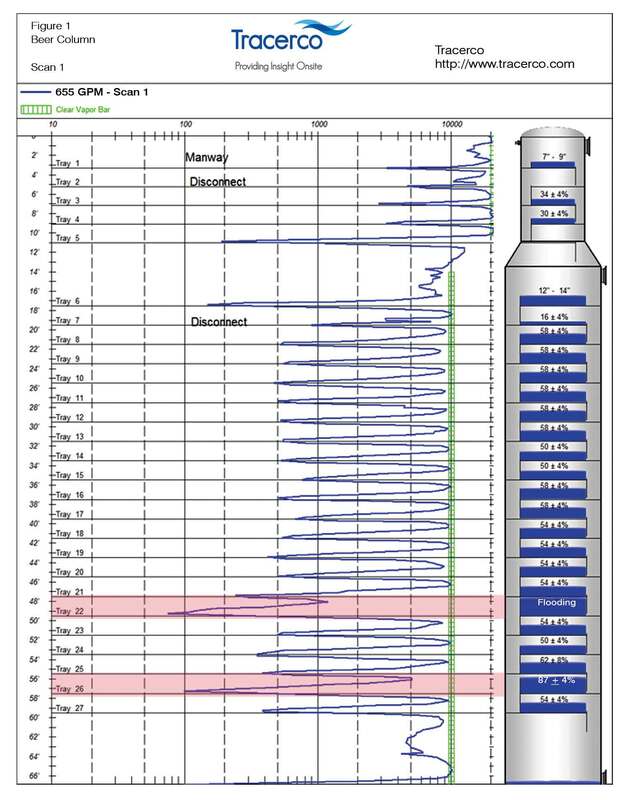 The first step to determine liquid maldistribution in a packed column is to perform a Tracerco Tru-Grid™ Scan to provide an initial look at the liquid distribution in the packing. 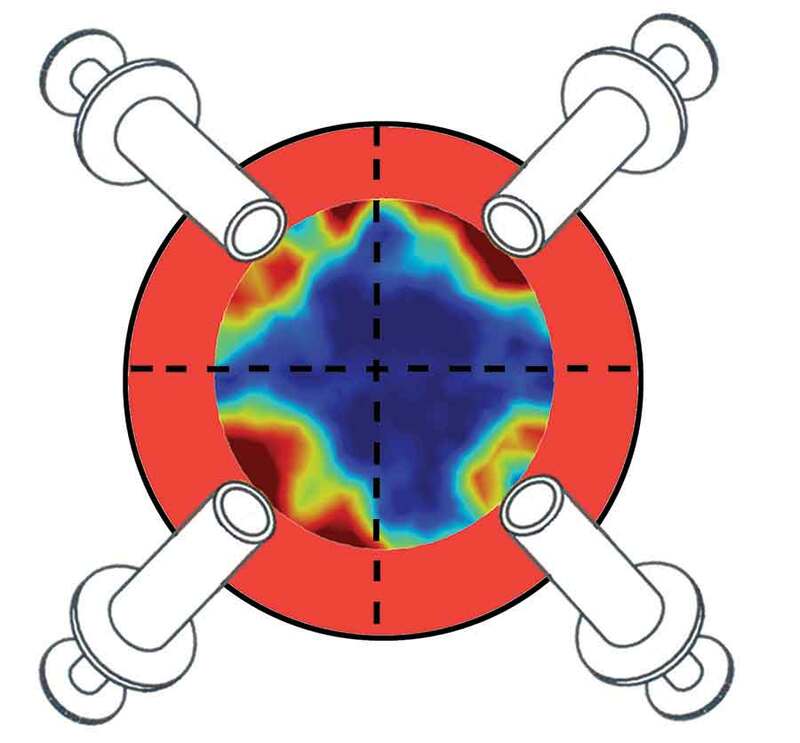 A Tru-Grid™ scan consists of four equal-distant chords, one through each quadrant of the tower. Under ideal conditions and uniform liquid loadings, each scan plot will overlay closely with all others. Counterfeiting, duty evasion and other forms of illicit trade are a substantial and growing problem across all market sectors, leading to increased calls for businesses to make use of highly secure product and brand authentication programmes. Estimates of the global value of counterfeit and illicit product sales vary widely. As the trade is illegal, official records of sales are not published so estimates of the sales of counterfeiting differ significantly. However, the undisputable fact is that all the estimates come up with staggering numbers representing a significant proportion of the global economy. Current estimates range from around US$700 bn per year (Havoscope) to US$1.7 trillion (ICC). This totally unregulated trade impacts everyone; brand owners, governments, consumers and the environment.